Former President Obama and his Administration spent much of 2016 racing to complete long-term regulatory and administrative initiatives, to cement his legacy. Now that it’s 2017, President Trump and the Republican majority in Congress are racing to undo many of these initiatives. These counter-initiatives appear in a variety of forms, depending on available statutory, executive, and administrative authorities. 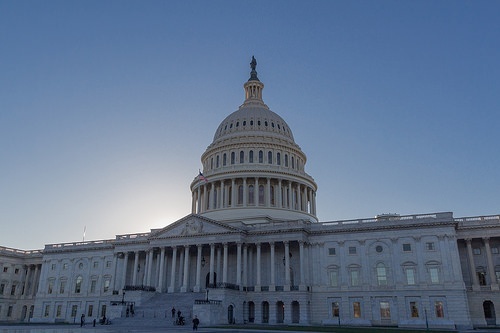 One mechanism seeing its first use in 16 years is the Congressional Review Act, which gives Congress the power to pass a joint resolution “disapproving” – repealing – a federal agency rulemaking. Each resolution requires Presidential approval, so as a practical matter it only works when a new president agrees with Congress to repeal one of his predecessor’s regulations. In 2001, President George W. Bush agreed with Congressional disapproval of an ergonomics standard adopted by the Occupational Safety and Health Administration (OSHA) during President Clinton’s governance in 2000. In contrast, President Obama vetoed five such resolutions while he was still president, blocking Congressional attempts to disapprove rules his own administration had adopted because Congressional leaders were unable to muster 2/3 supermajorities in both houses to override his vetoes. As of the end of February, three such resolutions have been passed and signed into law by President Trump. What is the Congressional Review Act? Federal agencies must submit a copy of each new rule to Congress, along with a concise general statement relating to the rule, including whether it is a major rule (i.e., likely to affect the national economy by more than $100 million annually); and its effective date. Congress then has a total of 60 days in which both houses are in session, to review the rule and adopt a resolution of disapproval. Because a recess by either house stops the clock, 60 legislative days may cover many weeks – in 2016 any rule adopted on or after June 13 turned out to have fewer than 60 days remaining before the end of the 2015-2016 Congress. When a rule is adopted with fewer than 60 days remaining, the 60-day clock restarts when the next Congress convenes, and is again measured based on days both houses are in session. During 2017, the House and Senate calendars presently indicate that the reconvened 2017-2018 Congress will have until May 17, 2017 to consider an Obama Administration rule adopted on or after June 13, 2016. Proposed resolutions of disapproval are drafted as legislation and assigned to appropriate Congressional committees, and if voted out to the floor are then voted on by the full house. A resolution that passes both houses is sent to the President for signature or veto. Which Resolutions Have Already Been Enacted During 2017? Securities and Exchange Commission (SEC) Rule 13q-1, which would have required each “resource extraction issuer” to include in its annual reports information about any payment made by the issuer (or a subsidiary or entity under its control) to the U.S. federal government or any foreign government for the purpose of the commercial development of oil, natural gas, or minerals. This Rule implemented a statutory requirement enacted in 2010 by the Dodd-Frank Act. Department of Interior (DOI) “Stream Protection Rule” (actually extensive rules in 30 CFR part 700 et seq. ), which would have established extensive new and modified regulatory requirements intended to “protect water supplies, surface water and groundwater quality, streams, fish, wildlife, and related environmental values from the adverse impacts of surface coal mining operations.” This rule was adopted pursuant to the Surface Mining Control and Reclamation Act of 1977. Social Security Administration (SSA) rules for providing the Attorney General with information about SSA beneficiaries who may be denied the right to buy and own guns, based on their mental health issues. These rules were adopted pursuant to the National Instant Criminal Background Check System (NICS) Improvement Amendments Act of 2007. Many additional proposed resolutions are presently pending, covering a wide range of environmental, health and safety, labor, and financial rules adopted between June 13, 2016 and President Obama’s last day of office on January 20, 2017. What Might Happen After a Rule is Disapproved? A resolution of disapproval voids the targeted rule, sending the issue back to the adopting agency for more action. The Act prohibits the agency from reissuing the disapproved rule “in substantially the same form” – although few would expect an agency staffed by President Trump’s appointees to readopt a rule first approved by President Obama’s appointees. The Act provides no timeline for subsequent action, so SEC, DOI, and SSA (and other agencies that may experience similar disapprovals in the coming months) can move as quickly or slowly as their present priorities dictate. Congressional Review Act disapprovals have no direct effect on the underlying statute that provided authority and direction to the agency that adopted the rule. That requires separate legislation, approved by both houses of Congress and signed by the President. Is the organization subject to a federal regulation adopted on or after June 13, 2016? Is the organization tracking any proposed Congressional Review Act resolution that would disapprove the rule(s)?